In 1989, a group of dedicated parents and teachers were responsible for opening the doors of Country Montessori School of Poway (CMS). They had identified a gap in the existing educational opportunities offered to local families and realized that providing an authentic Montessori education was vital for the community. 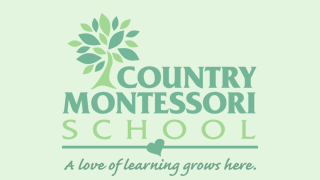 Country Montessori School is the ONLY local Montessori school that has offered preschool through fifth grade education for more than 25 years! All the teachers are certified and trained through the American Montessori Society (AMS). As a full-member AMS school, Country Montessori School incorporates innovative approaches and integrates technology with authentic Montessori curriculum. Unfortunately, this cannot happen without your support! As an independent school, CMS operates without funding from city, state, or federal government entities. The school relies on tuition income and donor contributions. Tuition ONLY covers the operating cost of our school. Facility and landscaping improvements are NOT covered by tuition. We need your help with a direct tax deductible donation to fill this gap! Help us strengthen our community by continuing the tradition and legacy of exceptional Montessori education. Let’s give every child, every chance, every day! In 2014, as CMS entered its 25th year of operation, the Board of Directors and Administration was proud to unveil the construction of our new and significantly improved elementary building! This was an exciting and momentous time for our school. This could not have occured at a more critical time for the school and community! Parents want an alternative educational opportunity for their children. 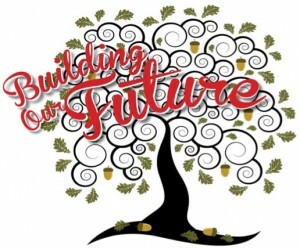 Visit our Donor Signage Slideshow. What Is Our Financial Goal? $100,000 per year till 2021. Is the financial goal realistic? Currently CMS has 108 unique families. If every family gave an extra $925 per year, we would reach our goal. If each family gave $17.00 every week for one year, we’d reach our goal of $100,000 per year. How will we raise the funds required? CMS will receive funds primarily from current individual parent donations. However, CMS is actively working on building an alumni support network as well as community/corporate donors. Will tuition increase substantially to offset building costs? It is our intent that CMS is affordable for families with diverse economic backgrounds; as we currently do not provide scholarship options. At this time, tuition will not increase substantially. However, small tuition increases occur to support and retain our excellent teaching and administrative staff as well as to cover increases in operating expenses. Additionally, it is important to remind parents that CMS offers one of the lowest tuition plans when compared to similar, private Montessori educational programs in San Diego County and significantly lower tuition when compared to other non-Montessori private schools in the County. How can I help to make this vision a reality? Are contributions to the campaign tax deductible? Yes! CMS is a 501(c)3 nonprofit organization. Does CMS have a donor recognition program? Yes! You can join our growing donor recognition program by contributing at the Community, Friends, Partners, Leaders, Major and Presidential Level. Each level is represented on our permanent donor display located on the exterior of the new elementary building.